James Whitehead, Jr., the first African American Lockheed U2 pilot, was born in Jersey City, New Jersey in 1934. From a young age Whitehead was surrounded by a strong military presence in his family including relatives who served in World War II. Coming of age during that war he also remembered the Tuskegee Airmenwho inspired his desire to learn to fly. Whitehead enlisted in the New Jersey Army National Guard in May 1952 and served until 1955. He later became the first African American graduate of the University of Illinois Air Force Reserve Officers’ Training Corps (ROTC). He graduated in June 1957 with a degree in Physical Education and was commissioned a second lieutenant. Before leaving his home in New Jersey for officer training, Whitehead purchased a guide for blacks on travel across segregated America. As an African American officer in The United States Air Force at a time when segregation was still prevalent in parts of the United States, Whitehead wanted to know how to travel across the nation without incident. 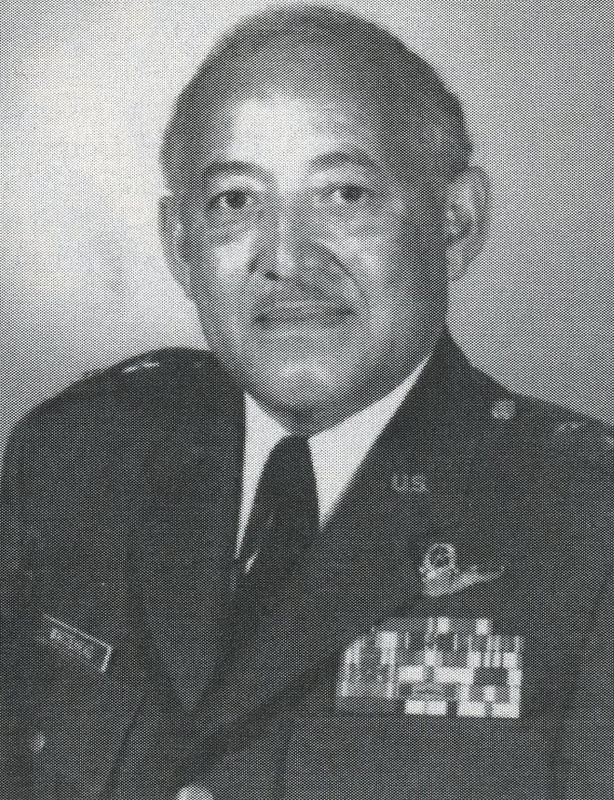 After completing flight school Whitehead received his pilot’s wings in November 1958 and was immediately stationed at Barksdale AFB outside Shreveport, Louisiana. Despite being an officer in the U.S. Air Force, Whitehead and his family were still subjected to local Jim Crowlaws. The Whitehead family lived on base until the education needs of his children made it necessary to move to Shreveport where they were likely to attend a poorly equipped, racially segregated school. Whitehead asked for and was granted a transfer from Louisiana to avoid that prospect. Whitehead’s career progressed steadily, however. By 1965 he flew missions over Vietnam in support of Operation Rolling Thunder in his KC-135 Stratotanker. Following his tour in Vietnam Whitehead put in a request to join the highly competitive and secret U2 program. After a rigorous interview process he was accepted and began flight training to become the first African American U2 pilot in 1966. Whitehead would fly the U2 for a short time, however. After qualifying in the U2 and flying a mission over Cuba he learned that his unit was to be transferred to Barksdale AFB, Louisiana. Rather than subject his family to the racial tensions of the late 1960s Southern United States, Whitehead resigned his commission to pursue flying commercial aircraft. Whitehead took a job as a pilot with Trans World Airways (TWA) upon leaving the USAF but quickly rejoined the US Military in a new capacity with the Nebraska Air National Guard. He worked for TWA for the next two decades while continuing to rise in rank in the Air National Guard. Major General Whitehead’s last assignment was as Assistant to the Director of the Air National Guard at the Pentagon from 1990 to 1993. He also helped with the logistical deployment of Air National Guard units in the build up and execution of Operation Desert Storm in 1991 Before leaving the Air National Guard, Major General James Whitehead created the Human Resources Quality Board to insure that people of color would have opportunities in both military and civilian aviation. Having endured his own hardships to break down barriers against people of color, Maj. Gen. James Whitehead wanted to make sure he left the door open for others on his way out. Whitehead, James. Personal Interview by Elliot Partin. 16 DEC 2010; "Black Generals of the National Guard," On Guard (Feb. 1990) Vol. 29(5). “Black Generals of the National Guard,” On Guard (Feb. 1990) Vol. 29(5).